Want to experience true mobility when you’re traveling the States? Well, then, you need a world-class global SIM solution that’ll let you stay connected up and down the country. 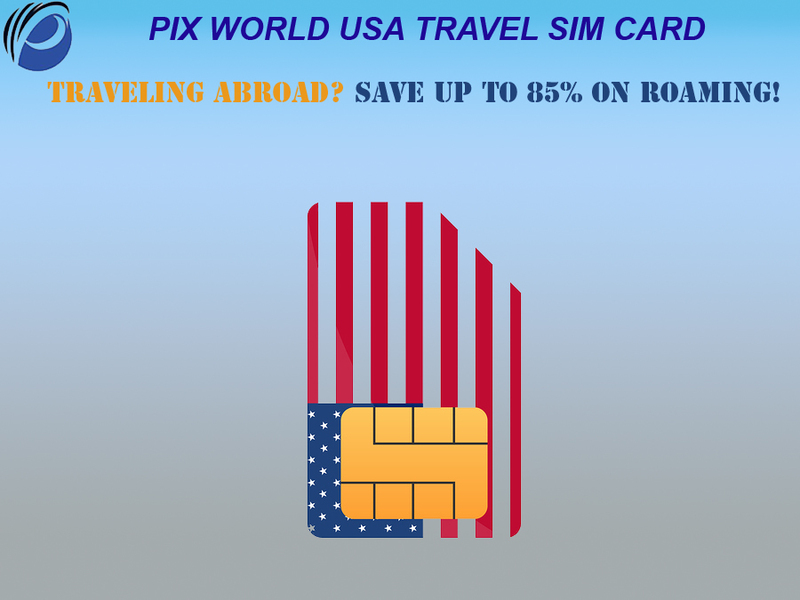 But finding an amazing USA travel SIM card that’ll do that is easier said than done. Seriously. Well, because most international SIM cards for the USA just claim to deliver stellar coverage. And when it comes to delivering the promised coverage in the real world, most of these SIM solutions fail hands down. That’s why you need a powerful SIM solution that’ll let you experience sensational coverage across the length and breadth of the States. That’s when you’ll need Pix World. Pix World lets you deliver the best in terms of wireless coverage. This global SIM solution isn’t the one that delivers empty promises. Instead, this player delivers on its promises every time. So, with Pix World, you can expect to get the best in terms of wireless coverage. Well, this international prepaid SIM card has a huge network of more than 150 global operators. And these operators work on speedy 3G and 4G networks every time. This way, when you’re with Pix World, you won’t experience bad network anytime. Since Pix World has such a huge network by its side, it successfully delivers global coverage on both land and sea. To be super accurate, Pix World will let you stay connected not just across the States but even in more than 193 countries and over 220 cruise ships. Now, that’s what a superior global coverage looks like. When you’re with Pix World, you’ll get sensational coverage at attractive price points. The wireless plans, which Pix World brings to the table, aren’t priced that high. Because of that, when you get a SIM card from Pix World inside your unlocked device, you won’t pay a price that’s as high as the one you’d pay should you take your local network abroad. As a matter of fact, Pix World will let you pocket 120 percent of the roaming charges. Just like a true boss. So, the deal is pure and simple. If you want to save a lot of money on global roaming yet stay connected with your folks out there, you’ve got to buy a wireless plan from Pix World.